Lesley’s Philosophy Myofascial Release Pelvicology is a very personal, private theray and most of all, educational. As a former Teacher, Acute Rehabilitation Nurse, Lesley feels that on-going interaction between therapist & client is invaluable for successful treatment. 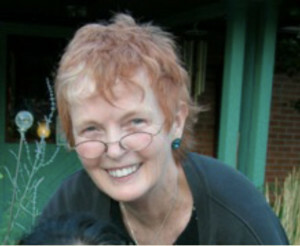 She developed a Certification Program in 1985 for the treatment of pelvic floor dysfunction (ongoing web-based). Pelvicology uses Myofascial Release technique to unlock the internal fascia of the pelvic floor. Patients experience lasting changes including functional improvement of the pelvic floor muscles, improved core stabilization, relieving Low Back, SI, Hip Flexor & Coccyx pain. Very often improved pelvic organ support provides relief of bowel, bladder and sexual dysfunction. of disorders of pelvic musculature and sexual dysfunction. She is also considered a master therapist in Myofascial Release (MFR) which she combined with her pelvic treatment expertise, allowed her to develop a speciality program known as Pelvicology. Trauma, such as a fall, whiplash, or just habitual poor posture have a cumulative effect. The changes trauma causes in the fascial system produces pain, restrictions of motion, effects flexibility and endurance of stress and strain.